Driver upgrade for the VorTech pumps from EcoTech. 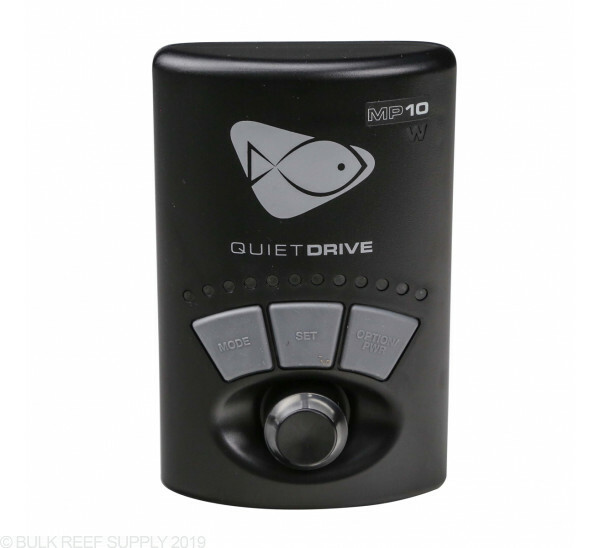 Convert your VorTech EcoSmart controlled pumps to the latest in noise-reduction technology with the QuietDrive driver! Special Note:Replacement Drivers do not include wireless chip. Must use wireless chip from old driver, or purchase separately. okay so the "W" doesn't light up like my MP10W and neither communicate at all. Can't get it to communicate with Reef Link either. Only reason I upgraded was to take the MP40 I bought on ebay and upgrade it to wireless controller. So I was very skeptical of this product. 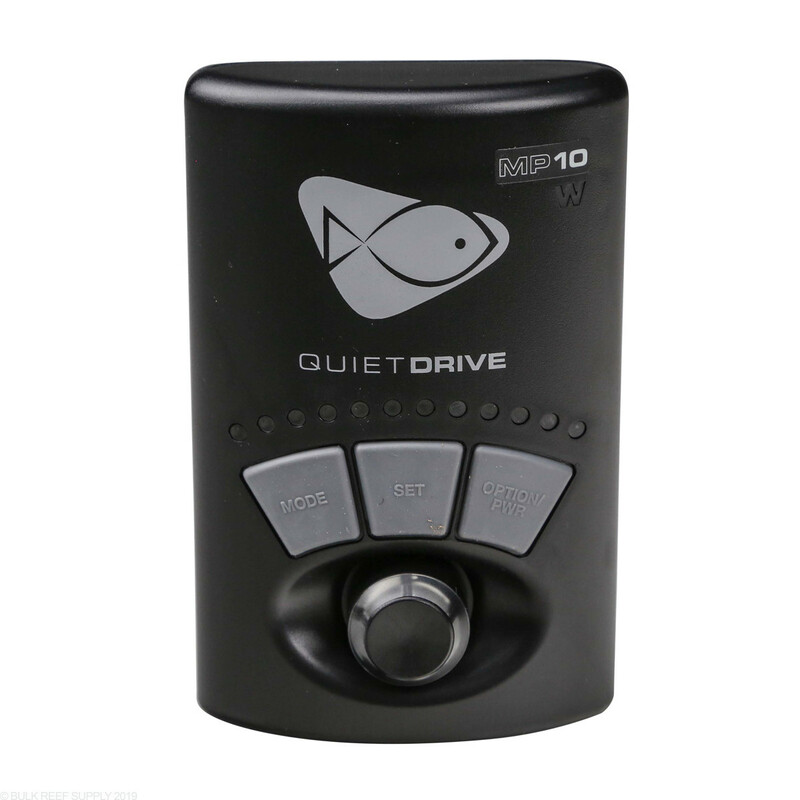 Without replacing the external motor or wet side I didn't believe it would be quieter. However, I was wrong. My tank is setup in my office and is about 4 feet from me. The noise level is noticeably lower. Certainly not silent, but I hardly notice when it switches over to nutrient transport which previously was incredibly noticeable. First let me say I LOVE Ecotech products, really love them. That being said I have had an MP10W and an MP10WQD running side by side and decided to upgrade the MP10W to the WQD. Needless to say I hear no notable difference whatsoever since the upgrade. The QD version is clearly the more silent product. I'm not sure if I need to upgrade the wet side as well to get the decibels I'm looking for, but upgrading the driver alone did not do it. I have since dismantled and thoroughly cleaned the wet side(non-upgraded side) to no avail. Again I want to say I LOVE Ecotech products but this just wasn't up to snuff in the volume category. As for flow rate, I really have no measurable way to tell if its putting out higher GPH but thats not why I purchased the upgrade. If you're running pre QD Vortechs i highly recommend this upgrade. There is a huge reduction in sound. Not sure about the flow increase but that wasn't the reason I bought it. Upgraded to this new driver. I gotta admit that it is quieter. I have a tank in my bedroom so I can tell the difference. Plus I can increase the flow rate and it isn't as loud. I have the QD MP10 version by the way. I have 2 MP40s. They are about 15 months old. They were noisy, so had to dial down and even then some of the modes like nutrient transport were loud. When the QD came out, I thought I would have to buy new pumps because I was a little skeptical about the effectiveness of just adding the controller but after installing it on one side which was the loudest, I can say that they actually work as advertised. I have kept the same wet side. When comparing the side with new QD driver and older driver, you can absolutely hear the difference. The only way I have been able to hear the QD is if I put my ear about 6 inches away. If the wet side rattles, it will need a little adjusting. previously no matter how much I adjusted, at high enough speeds it rattled. Now at 100% power I don't hear the rattle.